The City of Cleveland will begin construction for improvements at the intersection of Georgetown Road and 25th Street starting February 1, 2019. B & W Contractors Inc. was awarded the project bid in the September 2018. The City has completed the NEPA, design and right-of-way acquisition for this project. 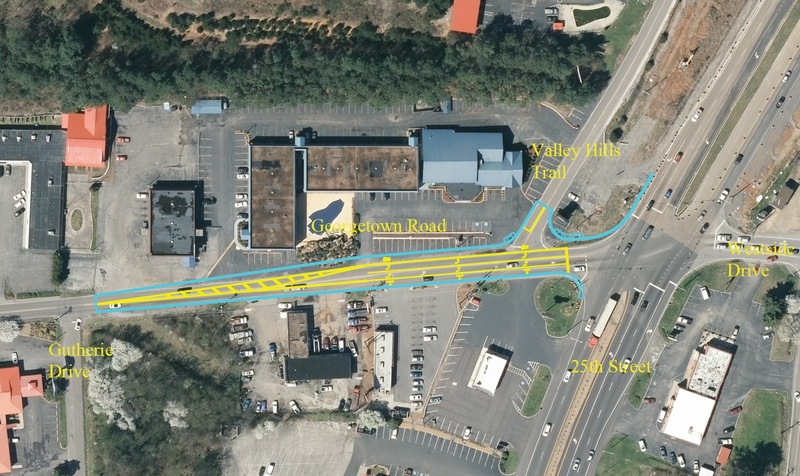 The improvements for this intersection project include widening of the street and installing additional turn lanes on Georgetown Road. Please expect travel delays once construction begins and seek an alternate route if possible. This project will alleviate substantial traffic congestion along this corridor and intersection. The project is estimated to be completed in the summer of 2019. Please contact the City of Cleveland’s Development and Engineering Services Department at (423) 479-1913 for additional questions or concerns regarding this project.